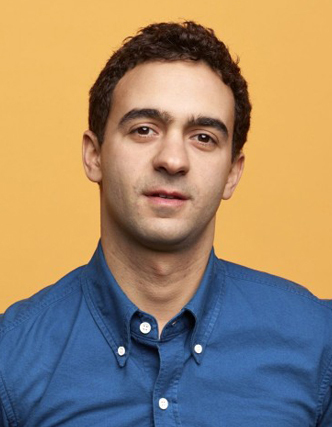 Jeremy Heimans is co-founder and CEO of Purpose.com, an organisation that builds social movements to address global challenges. A graduate of Harvard University, he co-founded Avaaz, a global online political movement, and GetUp, a grassroots movement in Australia. In a recent interview with ISB alumnus Praveen Gonabal from the Class of 2006, Heimans discussed the concept of movement entrepreneurship, the role of technology in social movements, and the formula for Purpose’s success. There has been a lot of discussion on the extent to which Twitter, Facebook and other media platforms have been the enabling factors in social movements. They have received a lot of credit for this, but there have been questions – most notably from author Malcolm Gladwell – about whether they really made a difference. What is your view of the role of technology in catalysing movements for social change? The debate about the role of Facebook and Twitter is a false debate. It is not about any one platform, but it is undeniable that technology is changing the participatory economics of movement building. We can now mobilise many more people seamlessly across geographies at a scale that was simply not possible before. It enables a set of new behaviours around participation. While these don’t necessarily replace old behaviours, they become important adjuncts to those old behaviours and enable certain things that were not possible before. For instance, if you are building a trans-national movement around an issue now, as we have seen with organisations such as Avaaz, All Out and 350.org, you can do that much more easily. Does that mean that Facebook is responsible for the Arab Spring? Of course not. The Arab Spring is a combination of activists doing classic activist work and going to the square, but they were able to mobilise much more quickly, effectively and seamlessly because of technology. If you study the Arab Spring, the role of the “We are all Khaled Said” Facebook page is important in giving people a sense of their own agency and their own power in that situation. Activists who had been working on the ground for years used these new tools at a critical moment and executed on a strategy related to the revolution. Malcolm Gladwell has posited that weak-tie based organising is useless and only strong-tie based organising works. However, evidence from our work shows that if you get many people involved in low- barrier actions, more of those people self-select into higher-barrier, strong-tie based actions. Rather than there being a substitution effect, there is actually an endowment effect – the low commitment actions endow the high commitment actions. We see that with the Obama campaign, for example. They have a small group of field volunteers that comes from a much larger list of people on email lists. If the Obama campaign had tried to build this group of field volunteers without those weak-tie lists, they would never have got that many people as volunteers. Does that mean that the key contribution of technology is that it broadens the funnel, expanding the universe of people who could be brought into the orbit of a social movement? Broadening the funnel is one of a set of things. Creation and rapid dissemination of ideas and memes is another. The ‘Occupy’ movement, for example, was essentially a meme that got rapidly disseminated. Technology is also enabling a much more rapid scaling up of funding using micro-donations, which was not possible before. Part of the shift that you see is that people without access to institutional levers of power are able to make very impactful social change interventions with relatively few resources. We can now mobilise many more people seamlessly across geographies at a scale that was simply not possible before. It enables a set of new behaviours around participation. In the same way that media has been transformed by the fact that anyone can become a publisher, movement-building has been transformed by the fact that, to some extent, anyone can become a movement- builder. In some cases, that doesn’t remove traditional institutions from the equation. There is still a mainstream media, and that still matters. However, if you want to have a major impact, you don’t have to be a large organisation or a government or a celebrity. That is fundamentally different, because it is democratising access to these levers of change. Is there a threshold level of technological sophistication at which technology can become an enabler for fostering social movements? How do we define “technology” for the purpose of determining what can be a technology- enabled mass movement? What is fascinating is that you do not need very advanced technology to build social movements; you just use whatever tools are available. If you look at the anti-corruption movement in India, one of the key organising tools was the missed calls. Anna Hazare got, if I’m not mistaken, 35 million missed calls, which was effectively equivalent to signing a petition. This is super low-tech, based on the usage of existing technology. I find that very instructive. We have created a tool called “Crowdring” to enable missed calls as a campaign tool for the Global South. Your organisation, Purpose, enables “movement entrepreneurship” through “digital mass participation.” What exactly is movement entrepreneurship and how does Purpose help such initiatives? Purpose is the first of its kind – a home for this concept of the movement entrepreneur. A movement entrepreneur is someone who is able to make large social change interventions using digital tools, but not exclusively digital tools, without necessarily accessing the formal levers of institutional power. Purpose serves two functions for movement entrepreneurship: We create an environment and a space where this work of movement entrepreneurship can thrive, and we help launch movements that are aligned with our values, such as AllOut, The Rules and Meu Rio, which share a similar tactical and intellectual heritage to groups like GetUp and Avaaz, organisations that I was involved in starting before founding Purpose. We also work with existing organisations such as NGOs, foundations and others. That’s essentially the model of Purpose. Our projects are often global in scope. What we do most often is create transnational movements that are only possible in the sense that we now understand them since the advent of the Internet. Do you think corporations have a role in fostering social movements? In our work, corporations are both targets – on occasion, even adversaries – as well as partners. From the perspective of a corporation, mobilisation using movement-building techniques is something that makes sense in certain contexts. A large, established corporation that is not necessarily doing intrinsically good things for the world should first start by working on its internal transformation. Once they are on a clear path to accomplishing that, it makes sense to begin to share and promote those good deeds to the world and mobilize their consumers around that. Companies can also champion an issue that has some plausible connection to what they do, such as the brand like Dove embracing the idea of women’s body image and self-esteem. In our world view, if a company’s economic engine is fundamentally about fixing a social problem, say the electric car industry or sustainable foods, then movement-building becomes a huge opportunity. Purpose is very excited about finding ways for scaling demand for such new products and services. Educational institutions and campuses were ground zeroes for movements for social change in the 1960s and the 70s, with the Civil Rights and Anti-war movements in the US and movements in India. We now see movements with a broad-based participation from society, as in the ‘Occupy Movement’. Do you see this as a trend? What is the role of students and educational institutions in movements for social change? I think it is probably partly driven by the Internet. The Internet has made it possible for a lot more people from a much broader section of society to get involved. Many movements that we start are dominated by people over 40, and that is a very interesting trend. What is the role of students in social movements? They are still very important in some countries, like Chile, for example. There is still clearly a strong tradition of students organising movements. In the Obama campaign, students were very active in the field operations. As for the distribution of support for Obama, it was the 50-year-olds giving him the micro- donations and the 20-year-olds who were knocking door to door. It is the natural comparative advantage of different social groups. From your experience, whether in your native Australia or in the US, and more recently from your work at Purpose, what are the lessons you have learned about social change and about incubating such movements and ensuring that they get traction? Probably the most important lesson is that organisation design matters. We would never have succeeded with our work if we had created 2,000-people organisations. Organisations need to be lean and nimble and they need to have operational flexibility. They need to encourage risk-taking and tactical innovation. Essentially, they should feel and be like startups. They need to be relatively flat and highly collaborative. People often talk about technology, but I would argue that it is much more about organisational design. That is why at Purpose, we have a very multidisciplinary group, including behavioural economists, brand strategists, technologists and political organisers. Such intellectual diversity improves our work and makes it more interesting. Do you think there are any problems that cannot be solved – “intractable” problems – when it comes to movement entrepreneurship? If there are 20 different worthy initiatives you could work on, how do you decide which battles are worth fighting and which ones are not? The answer to ever y social problem is not mass participation. There are many other instruments. We think of social change in a very multi-dimensional way. There are tactics and instruments that you need to deploy as part of making social change happen. Sometimes these instruments are technical, sometimes they are policy matters, sometimes they are legal and sometimes they involve people and mass participation. The most effective inter ventions bring all of these together. If you are looking at a particular cause, you need public pressure, you need court cases, you probably need technical solutions for the lawmakers in those countries, you need legal efforts and you need mainstream media efforts. It involves a complex of factors. We believe in that school of thought, which is why at Purpose, we don’t just apply the movement hammer to every nail. When we do our work, we look at where we think a movement or mass participation would actually shift the dial, and where we don’t see that as already being in place. You mentioned that Purpose has an interdisciplinary approach to addressing this challenge. Do you see the forces for the status quo also catching up and beginning to understand that this is a sophisticated space, and that if they need to preserve the status quo, they need to go about it in a similarly strategic manner? In general, my answer is no. And the reason is that authenticity matters. You may have heard the term “astro-turfing.” Astro-turfing (where a small number of people that promote a cause create an impression of a mass movement) can work to some extent, but there is never a grassroots following behind astro-turfing. There aren’t millions of people in a social movement for fossil fuels, for example. There are ads that tr y to create that impression, but ultimately you cannot fake authenticity. Authenticity is the secret sauce that decides what succeeds and what does not, and what takes off and what does not. London-based Praveen Gonabal, an alumnus from the Class of 2006, works at Infosys in the strategic global sourcing deals group. Co-founder and CEO of Purpose.com.